Crepes may seem like a no-no if you're vegan or following a dairy-free diet, but this recipe makes crepes possible for you. Traditional crepe recipes are made primarily with four things: flour, eggs, milk, and butter. But this recipe skips those ingredients for cleaner fare with almond milk, coconut milk and dairy-free margarine on the list. 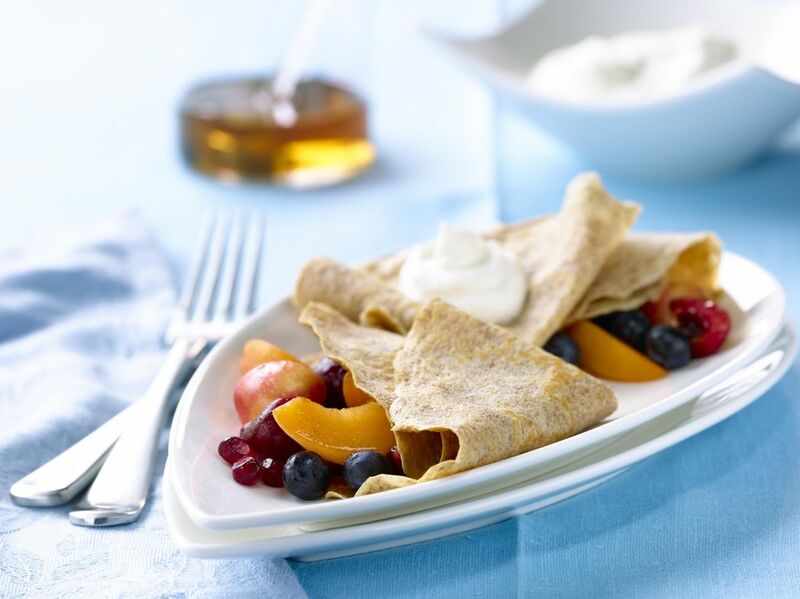 These dairy-free crepes are also egg-free making them easy to prepare and suitable for the strictest of diets including dairy-free, egg-free and vegan diets. Lightly oil or grease (with dairy-free soy margarine) a medium-large skillet. Heat over medium-high heat until hot. Cook one crepe at a time, adding about 1/4 cup batter to the pan and swirling the pan to coat the bottom of the skillet as evenly as possible with batter. Cook for about 1 minute, or until small bubbles appear all over the surface, and, using a spatula with your fingers as guides, flip and cook the other side of the crepe until golden. Crepes cook quickly, so be careful not to overcook them. Overcooking will not only make the crepes tough, but it will also rob them of their flavor. Try using your fingers when flipping the crepes (but be careful). This makes it easy to lift and guide while flipping the crepe with the spatula. That said, a fish spatula is the best spatula to use, as it's longer than most and can pick up a crepe easily. Dairy-free creme fraiche with sliced bananas and a handful of chopped nuts makes a sweet and tasty vegan crepe filling. For a savory breakfast, add sautéed vegetables, beans, or scrambled eggs to your crepes.